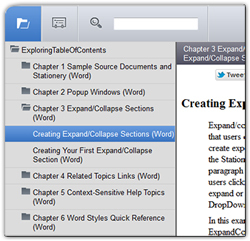 Save time when creating your ePublisher stationery by using the new table of contents auto-detect feature. 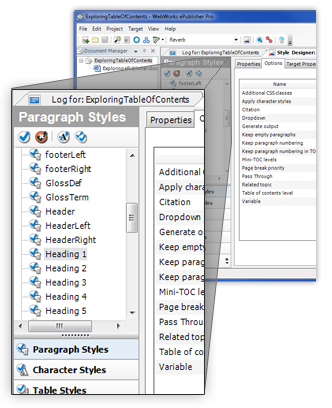 In all versions of ePublisher prior to 2011.3, stationery designers were required to specify the level for each paragraph style that was going to be displayed in the generated table of contents (TOC). While this may seem like a routine configuration, it is somewhat redundant, as it is very likely that the original source document author has already specified these levels. Now, ePublisher can simply detect those levels automatically. 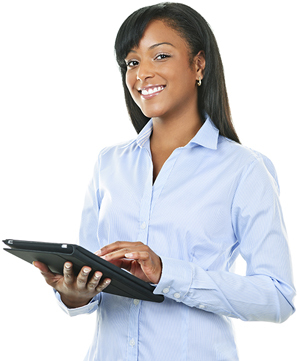 Users with existing projects and stationeries that have already been set up don’t have to do anything. Their TOC levels are already manually set. If you start/create new stationeries or Pro projects, this feature will immediately begin working for you. However, if you decide that the levels specified in your source documents are not what you want, you can still use ePublisher Pro to set the level to a specific value, thus bypassing the auto-detect capability. Another benefit of this new feature is that it makes ePublisher Pro easier to learn for new users because most of your conversions will now generate a complete and fully functional online help deliverable without users having to learn much about ePublisher Pro’s style designer. 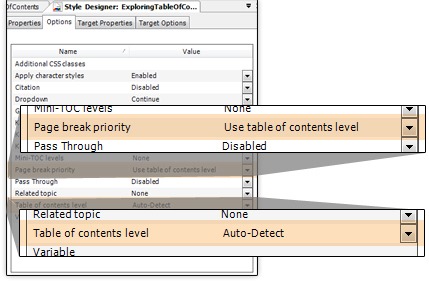 Here you set your table of contents level to “Auto-Detect.” Once properly configured, ePublisher will now automatically detect the appropriate level from the source document. Once all settings are properly configured, ePublisher will automatically detect your native table of contents level inherent to your source document and render your output into the chosen output format type (Seen here in WebWorks Reverb).